Twenty years ago, the Wheaton Alumni magazine began a series of articles in which Wheaton faculty told about their thinking, their research, or their favorite books and people. 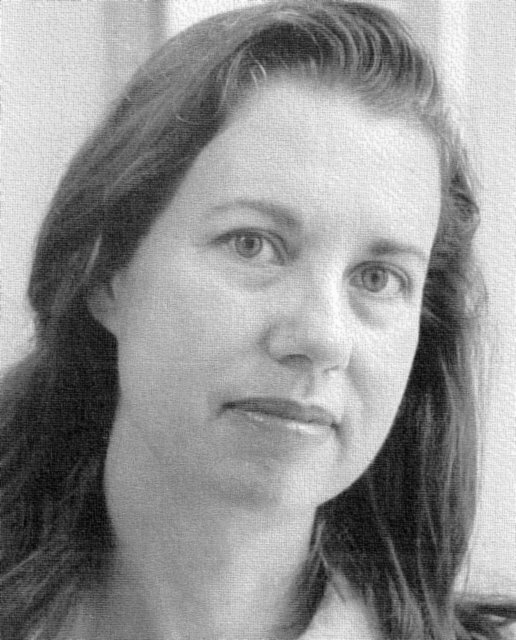 Professor of Communication Lynn Cooper (who has taught at Wheaton since 1978) was featured in the Autumn 1993 issue. One of the challenges facing educators today is the management of multicultural institutions. This summer I attended the Christian College Consortium conference on campus, along with staff from Bethel, Greenville, Taylor, and Trinity, to discuss strategies for implementing diversity in the curriculum. One often-overlooked strategy we discussed for fostering community in the midst of change was mentoring. There’s nothing new or magical about the practice of mentoring. In Homer’s classic story, Mentor served as role model, counselor, and teacher to the young Telemachus, who became Mentor’s apprentice, disciple, and student. In modern terms, mentoring is a natural pairing between individuals. Mentors are older and experienced sponsors who take younger members of the organization under their wing and encourage as well as support their progress. The advantages of the mentoring experience is particularly important for both females and culturally diverse students who often face personal and social barriers to achievement. While most of the research has focused on people in work organizations, the effects of mentoring and role models in learning environments are equally important. “Natural” mentoring which can develop between faculty and students provides opportunity for greater interaction and encourages intelligent, resourceful, and motivated students. However, the findings related to faculty who serve as mentors are varied and sometimes contradictory in terms of their importance to students. For a number of reasons, faculty will not always make the best mentors. The trend in many colleges and universities is to use “planned” mentoring programs which incorporate faculty as well as alumni, staff, and administrators. Planned mentoring programs help students succeed while in school, focus academic and career goals, and get started once out of college. Planned mentoring programs are especially valuable for culturally diverse students, Having opportunities to have someone edit papers, interpret institutional norms and jargon, or provide a respected opinion in situations requiring mediation increase the student’s chance for success. Implied in mentoring is a concerted effort to make our campus a place where students learn to emulate Christ. There is a commitment, not to a program, a principle, or a quota. Instead, mentoring implies a commitment to people and a desire to see them succeed. At Columbia University, alumni are asked to serve as mentors at the beginning of the school year. The Alumni Office matches students and mentors according to their expressed preferences. Although the program lasts a year, the mentors and students decide how often they want to get together. The mentoring program at Lake Forest College matches alumni with students according to shared career interests. There is regular contact from the institution for feedback from participating students. Other than a kick-off and final celebration meeting, the mentor-student contacts are determined by the individual’s needs. At Bell Haven College, students are nominated by professors based on their Christian commitment, their G.P.A., and their need for guidance. The mentors must be successful Christian professionals from the community and local churches who volunteer to take on a protege in their field. This program lasts one semester and requires a minimum of four meetings. My job as teacher is greatly enhanced by alumni who have been willing to serve as role models and mentors. This last year, my students were able to listen to Dan Balow ’78, Corinne Cruver ’92, Bill Seitz ’77, Ted Harro ’89, Kris Rubow ’89, Deborah Williams Duncan ’87, and Jane Nelson Hensel ’84, along with other visitors from the community. Sandi Londal ’92 and Virginia Blackwell M.A. ’92 arranged to have 29 students visit their corporate employer. Julie Schwemin Garnache ’90 took time to have dinner with a student considering a communications major. Tara Barnett Van Dyke ’91 interviewed graduates for job opportunities in urban ministry. Leslie Nunn ’87 provided another internship for a student, and Julie Lee Logan ’93 helped research the mentor programs reported in this article. There are so many others who have routinely answered questions and given information through the Career Development Center’s Alumni Network, fortuitous encounters, or personal pleas from college departments. Wheaton College is blessed with talented and generous alumni. As Wheaton College strives to become a more diverse community we need to encourage these new representatives of Christ’s kingdom. Mentoring is effective in helping underrepresented individuals succeed in unfamiliar environments. An emphasis on interpersonal interaction, cooperative problem-solving, multicultural understanding, and institutional commitment creates a learning climate in which diversity is not only valued, but expected. Dr. Lynn Cooper has taught courses in public speaking, group dynamics, organizational communication, interpersonal communication, leadership, as well as, gender/diversity and communication during her tenure at Wheaton. Her professional interests include: applied communication research, managerial listening, decision-making and problem-solving, team building, and conflict management. Her research involves quantitative, qualitative, and applied communication research in the areas of organizational listening competency and small group dynamics.